Joseph Kenneth "Joe" Taylor – 88, Truro, passed away peacefully, surrounded by his loving family, on Monday, March 4, 2019 in Vimy Court, Bible Hill. Born in Salmon River, Colchester County, he was a son of the late Percy and Edith (Cruikshank) Taylor. Joe worked as a salesman for 44 years with Brookfield Foods/Scotsburn and continued his sales career selling Matol across the province meeting many people along the way. Joe loved people and getting to know them better, always taking time to have a lengthy chat. 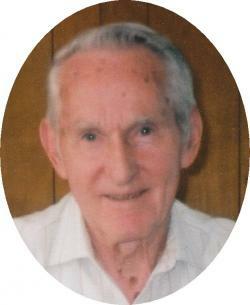 He loved spending time with family and friends at the cottage in Marshville, Pictou County. A retired Pipe Major, Joe played at many weddings and in parades over the years. Joe is survived by his son, Chris (Sandra) Taylor, Salmon River; son-in-law, Bill Clark, Georgetown, ON; step children, Winston (Joanne) Williams, Marshville; Shirley Williams (Arthur Dupuis), Salmon River; Judy Johnson (Ron Charles), Bible Hill; sisters, Gwen Johnston, Truro; Olga Cummings, Truro; grandchildren, Taylor, Sarah, Evan, Tanya, Colleen, Kathy, Stanley, Sandra, Lisa, Matt; several great grandchildren, nieces and nephews. Along with his parents, he was predeceased by his wife, Irene Taylor; daughter, April Clark; sisters, Shirley Doucette, Ruth Smith; brothers, Ira Taylor, Lee Taylor. The family wishes to extend a special thanks to the VON staff as well as the staff of Vimy Court for all of the wonderful care given to Joe. A celebration of Joe’s life will be held from 1-4 pm Saturday, March 9, 2019, at Royal Canadian Legion, Branch 26, 42 Brunswick Street, Truro. Private family interment at a later date in Watson Cemetery. If so desired, donations in Joe’s memory to Alzheimer Society of Nova Scotia or charity of choice are welcomed.